When interviewing for a job as an electrician, you can expect questions that deal with job-related specifics, as well as questions that pertain to general work history and attitude. The following interview questions may not come up in every interview, but you should be prepared to answer them. 1. What Qualifies You to Work as an Electrician? Employers will want to know if you have the right skills and credentials to work as a professional electrician. Mention any relevant certifications, licenses and education, as well as any experience from previous jobs that specifically pertain to an electrician's job. 2. Do You Specialize in Any Particular Areas? Along with qualifications, an employer will want to know if you have any particular specializations. 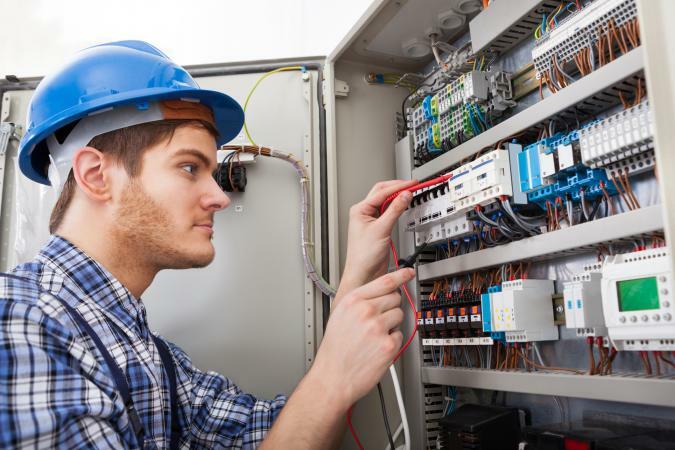 For example, some electricians specialize in electrical systems and controls, wiring, or electro-mechanical repairs. Others may have particular expertise in reading blueprints or general troubleshooting. 3. Why Are You Interested in the Electrical Trade? If you are new to the electrical trade or are applying for an apprenticeship, you will probably be asked this question. Employers ask this question because they want to hear about your motivations and goals so that can be sure that you really have an interest in the field. 4. Why Are You Interested in This Particular Type of Work? Depending on the type of job you are interviewing for (industrial, residential or commercial), you might be asked why you are interested in that aspect of the field and not others. Be prepared to explain why you are seeking the particular type of position the interview is for. 5. What Is the Difference Between a Breaker and a Fuse? Interviewers sometimes ask about what might seem like very basic knowledge to weed out people who lack the foundational knowledge necessary to succeed in the job. Be prepared to explain key concepts relevant to the work of an electrician to demonstrate that you have an understanding of the work and what it involves. If you happen to get asked a question that you don't know the answer to, you still might be fine if you can explain to the interviewer how you would approach finding the answer if faced with a need to know the information in the field. 6. What Types of Electrical Systems Have You Worked on in the Past? Be prepared to list the various types of electrical systems you have worked on in the past, giving specifics about the scope of each type of project and the role you played. If there are types of systems relevant to this job that you have not worked on before, explain how your past experience and training has prepared you to be ready to tackle these kinds of systems. 7. 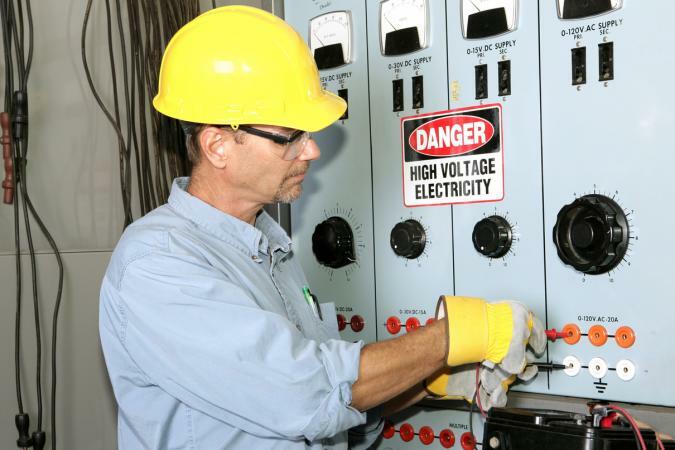 What Are the Most Important Safety Concerns for Electricians? Interviewers who ask this question want to see that you are safety-minded. They want to see that you have a good understanding of the risks associated with this type of work and get a sense of how concerned you are about safety in the way you approach your work. 8. What Is the Most Challenging Project You Have Faced as an Electrician? Employers want to get a sense of what aspects of an electrician's job you might find to be challenging , as well as how you have responded in the past when facing such a situation. So, in addition to describing the situation, also provide details on how you handled the challenge and what you learned from it. 9. What Do You See as the Most Critical Skills for Electricians? The goal of asking this type of question is to see if you have a clear understanding of what it takes to work successfully as an electrician. In addition to listing the skills, give examples that illustrate you possess them and apply them in your work. 10. What Procedures Do You Follow Before Finalizing a Job? Details are critical to the work of electricians, so be prepared to describe to an interviewer what you do to make sure that everything is correct with a project before you are ready to sign off on it as complete. For example, explain how you verify that things are working and what steps you take to make sure that every detail is as it should be. 11. Tell Me About Your Work Experience. Employers are looking for steady work employment and not short term assignments with big gaps between jobs. You should be prepared to explain any such gaps between work. Another piece of advice is to focus on work experience relevant to the position you are currently applying for as well as your most recent work history. 12. Why Are You Leaving Your Current Job? If you are currently employed and are seeking a job, then you will probably hear this question. Be honest, but be careful not to say anything that might indicate you may have problems getting along with your coworkers. Don't make negative comments about particular individuals or indicate personality problems with coworkers. Focus on work-related reasons for leaving. 13. What Are Your Salary Expectations? 14. How Would Your Past Boss or Coworkers Describe You? Interviewers who ask this question want to get a sense of your thoughts on how people you have worked with in the past view you as a team member. Be prepared to list and describe a few of your key traits from the perspective of someone who has spent time working side-by-side with you. Include items specific to your job capabilities as well as your approach to work, such as whether you are a team player or prefer working independently and if you are hard-working, loyal and tenacious when it comes to solving problems. You'll find this question near the end of the interview. If you feel you have something special to offer that didn't get mentioned or prompted in the interview, then say it here. Avoid using cliched buzzwords like "hard-working," "fast learner" or "gets along well with others." Phrase your response in terms of what you can do for the employer, not how the job can benefit you. Use this question as your opportunity really to sell yourself to the hiring manager. Answer each question honestly. If you need to take a few moments after the question to think about an answer before speaking, then do so. This way, your words will emerge more articulate than if you try to start speaking right when the question is completed. Try to come up with a few questions to ask during the interview. "What do you expect of new employees?" is a good one. Be prepared for the interview. You did most of the work by applying for the job and sending in your resume. Now it's time to make a positive impression and close the deal by showing the prospective employer how well you know the job and how much you are willing to work.